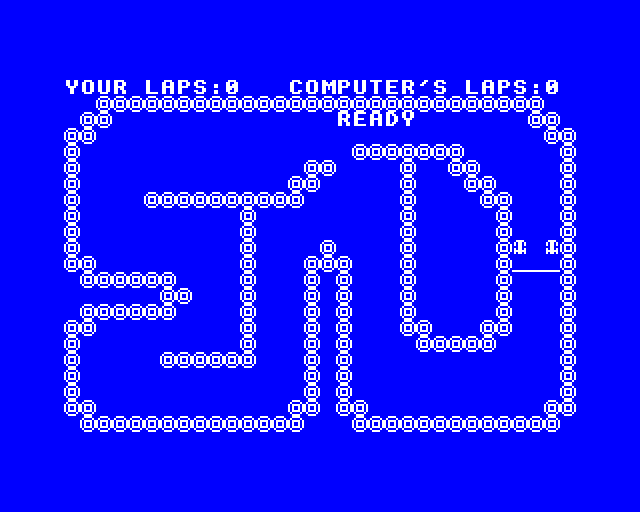 Published in the book Sixty Programs For The BBC Micro by Pan Books Ltd, in association with Personal Computer News. The listing as printed in the book was faulty, and quite a lot of work has been done to make the game playable as intended by the author. After all this intergalactic warfare, you'll find it refreshing to return to Earth and struggle to cope with a fleet of helicopters whose pilots are committed to wiping out your fair city. Thankfully you're in control of the metropolitan laser tower, and it's up to you to shoot down the bombs before they hit the city. You'll get points for every bomb you hit, and whilst you can wipe out a chopper if you feel so inclined, you will not add to your tally by so doing. You move your laser sight with the cursor keys, and the game is over once one of the bombs finds a clear path to the ground or the laser tower itself is destroyed.